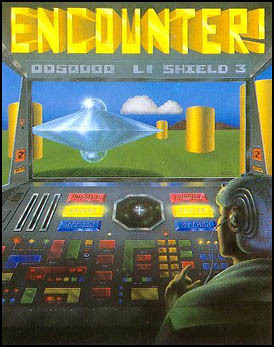 Developed for the Commodore 64 by Neil A. Bate, with additional programming by Chris Harvey. Published by Elite in 1984. Converted for the ZX Spectrum in 1985 by Andy Williams. Sounds for both versions by Rory C. Green. Credits for both versions are currently unknown. Developed for the ZX Spectrum in 1985. Conversion for the Commodore 64 released in 1986. Once in a while, I like to back into the very beginnings of software companies, just to dig up and learn something about the history of gaming. This time, I'll be digging into the beginnings of Elite Systems Ltd. Originally the company was known by the name of its establisher - Richard Wilcox Software - under which the company released only one game: Blue Thunder, a TV-series adapted into a computer game. 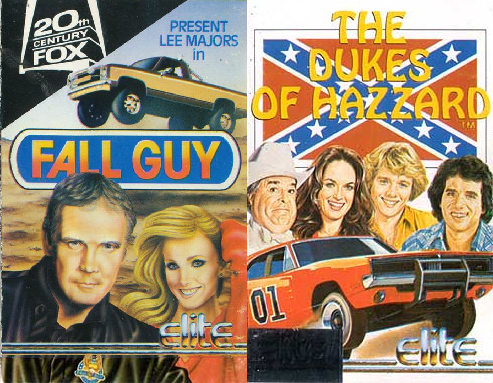 Bringing in a group of other people to work on new games, the company was relaunched under the name Elite Systems, later becoming best known for their massively popular home conversions of arcade hits Ghosts 'n Goblins, Buggy Boy, Commando, Paperboy and Bomb Jack. Developed for the Atari 8-bit computers in 1983 by Paul Woakes for Novagen. Originally published by Synapse Software. Converted by Paul Woakes for the Commodore 64 in 1984, and for the Atari ST and Commodore Amiga in 1991, and released by Novagen Software Ltd.
Today's comparison was suggested by cubamanuel in the comments section of my comparison of Cybernoid, so this one's for you. Paul Woakes was a man who wasn't much for blowing his own horn, but he certainly had a huge impact on the 8-bit Atari and Commodore game developing scenes. Encounter! was his first commercial game, which quickly became a classic for good reasons. 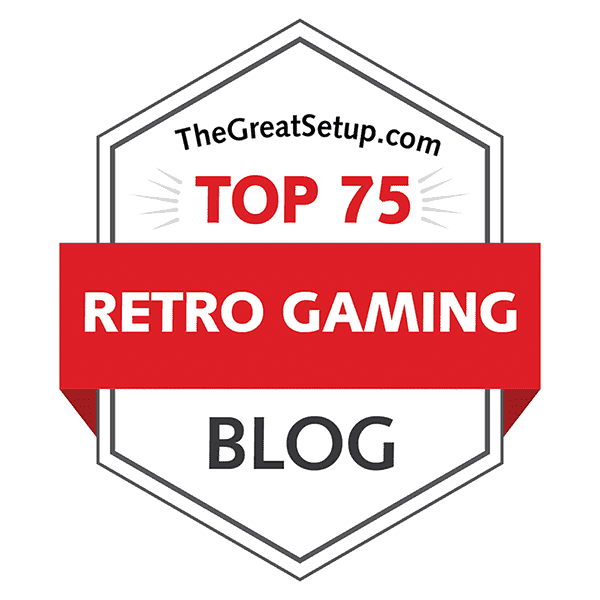 This masterpiece can boast of being one of the earliest first-person shooters, particularly as one that has an awe-inducing framerate, so it is no wonder that you can still see it spoken about with a singular sort of respect. As it well should be. Designed by Will Harvey. Programming by Jim Nitchals and Will Harvey. Graphics by Ian Gooding. Music by Douglas Fulton. Produced by Rich Adam, Roger Hector and Happy Keller. Originally released for the Apple //GS in 1988. Converted for the IBM-PC compatibles, Commodore Amiga and Atari ST by Sandcastle Productions in 1988. Converted for the Sega Genesis/Megadrive by Brett Durrett in 1990. After the re-edit of the most recent RESET magazine article, year number three at FRGCB will begin properly with yet another classic Electronic Arts game, and one that was a solid favourite for me and some of my Amigist friends back in the early 1990's. Miniature golf in a digital format has always been a concept that would practically allow for an unimaginable number of variables, depending on your imagination, of course. 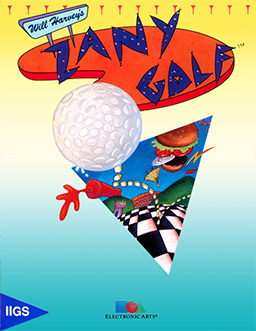 Will Harvey's Zany Golf was easily the most ridiculous mini-golf game at the time, and for quite a long while afterwards, and the reception at the time of release was mostly very positive. It also became the first Apple //GS game to attract mainstream gaming market and be ported to other platforms, so it has some proper value in gaming history in a few interesting ways.